Whenever a Galaxy S phone thinks "Boy, it feels good at the top", there's always someone down below to say "You're welcome". Samsung most certainly know who to thank. It was smartphones like the Galaxy Ace and the Galaxy mini that made Android so much more accessible and helped the Koreans get where they are. With the smartphone market still far from becoming a zero sum game, devices like the mini 2 are supposed to convert as many feature-phone and Symbian users as possible. Once they are in the right camp, it will be much easier to sell them a Galaxy S IV or even a Note 2. A solid plan indeed, but there's a catch. 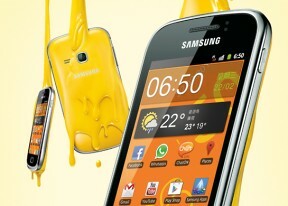 While the Samsung Galaxy mini 2 price tag will probably help, there are potential turn-offs that need to be addressed. The mini 2 doesn't have to be perfect or have an upmarket feel. A solid smartphone experience is a must though and we're interested to see if the mini 2 delivers it. Let's get going then. The unboxing and hardware inspection start right after the break. 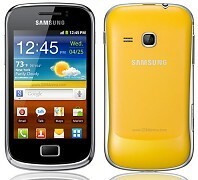 Wat abt the price of dis guys..in oman or in othr gulf cuntreez..plz any1 tel meee..?? My galaxy mini 2 has white diagonal lines appear on screen everytime I used it for at least 5 minutes without rest. Is it absurd?